Posted by Vanessa at 8:17 AM . Sorry I was unable to post much yesterday, I've been sick and it's coinciding with my allergies. I took a Benadryl yesterday which KNOCKED me out, so I was able to sleep nicely! 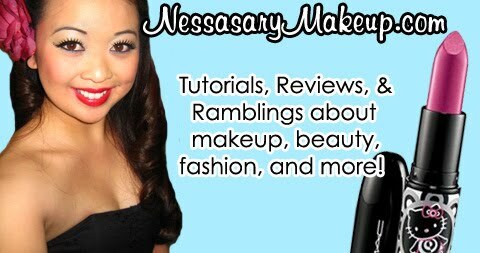 Here is my review on the Tiffa Mascara Base that I got from Sasa.com, someone asked how much shipping was, and I forgot but I think it was around $5 or $6 for me, you can check out Sasa.com for more details. Shipping is relatively fast USUALLY. What it is: It's a mascara base you apply BEFORE you apply your mascara, it helps give the illusion of longer lashes when applied with your regular mascara. 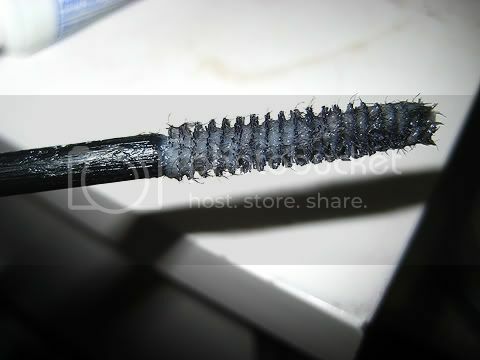 Description: It's a transparent base with little tiny fibers, similar to Imju fiberwig. 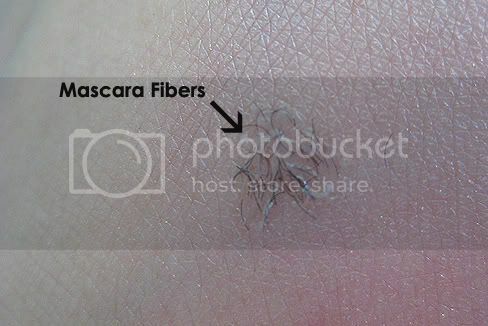 The fibers attach to your natural eyelashes making it seem like you have longer lash hairs. You apply it as you would your regular mascara, and then apply your mascara of choice. PROS: Does add a bit of length to my lashes, and doesn't make my lashes stiff or clumpy as oppose to just my mascara alone. No odd smell either. CONS: Be careful not to apply it to closely to the base of your lashes becaue the fibers may get in your eye causing discomfort. Overall: It's a pretty nifty mascara base, I haven't tried too many mascara bases simply because I don't really care for it sometimes, although I have tried Shiseido (nice but not liking the price), and Lancome's Mascara Base, but this one is actually really nice because it has those "tiny fibers" in comparison to the previously mentioned where it doesn't have any. great review! looks like it really works! 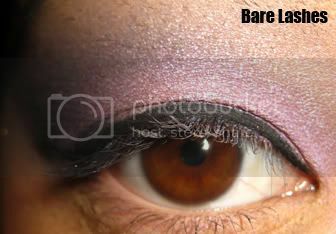 what eyeliner were you using for those pics? Haha I agree Tanya! I was a bit scared at first, but I see how it helps! 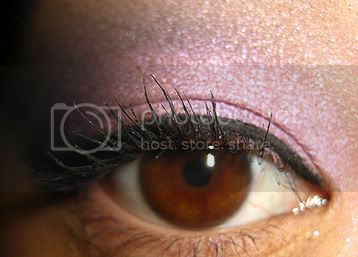 Tracy- I was using Revlon Colorstay Eyeliner Pencil in Black as well as their liquid eyeliner over the pencil. hmmm...i'll have to check this out with my imju runs out, it's much cheaper! i hope you feel better...my allergies are kicking my booty too :( and I had to go home during lunch and take an hour nap! Dude, those micro fibers look scary. LOL, but if it works....it works. Your lashes look great! Get well soon, sweet pea. Now I'm off to NYC tomorrow. Wish you were still there so we could hit up PRO. *sigh* One day, one day. The review is really helpful. the fibers look like pubies! =P...anywho i had a question regarding orders on sasa...i went to HK and they have one at least on every block i love that place...its my heaven and its wayyyy better then sephora. But my question is how reliable is the shipping and did you get all your products at the same time...i am about to place my order of 27 products!! !...let me know !!! I've seen Sasa when I travel to China each year, but never really liked anything I saw. 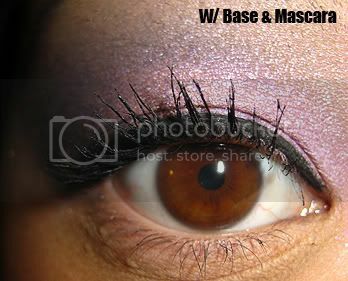 I love love love the dual shadow and the gloss! The new spring collection looks amazing! I was just blogging about it a few days ago! btw vaguely shocked they charged good retail as Sasa jacks it US side. It retails for 1050 yen so you got yourself an equal! Cool! I should order my tiffa from Sasa for that price! Saves me airmail fees! great results!... but the little fibers look a little scary lol. Wow that looks amazing!!! I need to get myself one of those lol how much was it? Great post! Wow your lashes look amazing!!!! I so want to try this out. Do you now if it is contact safe? What a nice find! I'm gonna hafta try it out :) Thanks!! Looks like it works! I personally don't need any extra length on my lashes but I know some ladies that do, I'll send them this way so they can see for themselves. Do you know another online store (int. ship. 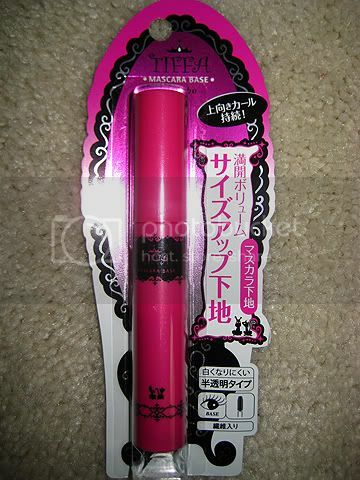 )or another fiber mascara base ??? Which color lippie to match with your eye makeup?